Fabulous & rare to find true RANCH in a great location w/2 acres of FLAT land, huge, circular south-facing driveway, attached oversized 2-car & RV garages tucked under the back of the house! Enjoy mntn living from this home, yet only minutes to Hwy 285, schools & conveniences of Aspen Park. Access to Flying J Ranch Open Space Park on foot, mntn bike or horseback from the front door of this home. The moment you step onto the covered front porch you feel like you have âcome homeâ. Main level includes a master en-suite, office, laundry & 2 BRs. Gourmet/entertainerâs kitchen w/huge island, slab granite, 2 sinks, 2 new ovens, 6-burner gas cooktop, wine cooler & S/S appl. Open concept great room w/vaulted Aspen wood clad ceiling & gas fplc is a wonderful space to curl up & watch a movie. 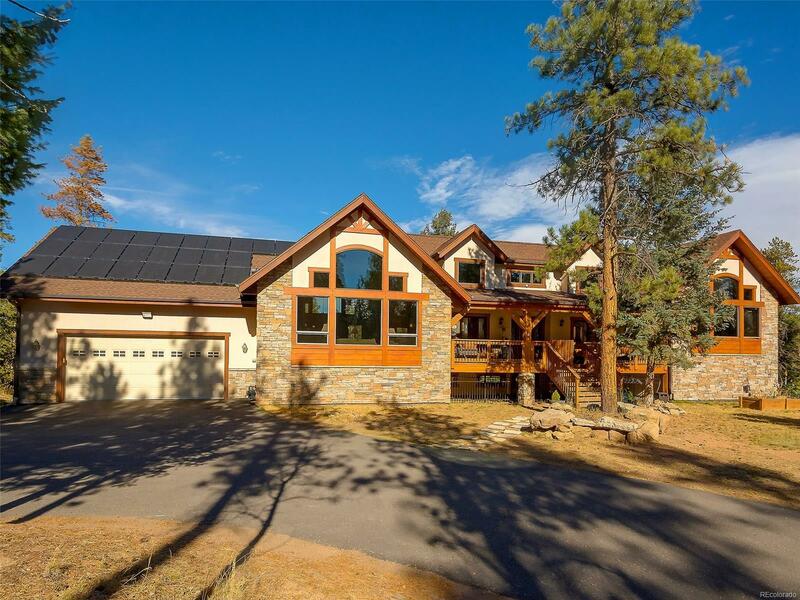 Donât forget to notice how efficient this home is w/in-floor radiant heat, solar panels, 2 gas fplcs, & pellet stove. Lower has bedroom, Â¾ bath, workout area/office space, plus a huge family rm & wet bar.